From one clay sculpt I reproduced 6 lionesses. Their shapes are identical, but I customized each one with a slightly different paint job using a variety of metallic paints. 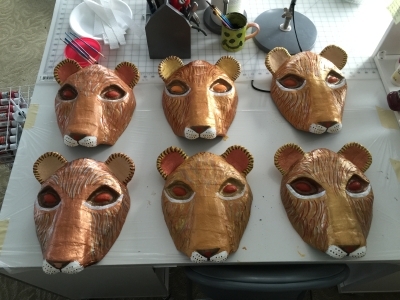 I didn't do a how-to video for the lionesses because they were made exactly the same way as the Sarabi mask. I actually used the Sarabi clay sculpt when I was done with it and re-sculpted it into the lioness. It saved a lot of time. 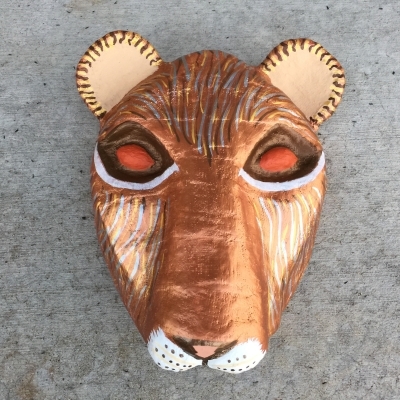 Click here to see the Sarabi mask and a list of materials you'll need.